Internationally acclaimed Ronnie Laws: Unprecedented cross-over success – R&B, Pop, Jazz, Contemporary Jazz. Earth Wind & Fire’s original tenor and soprano saxophonist. Laws has performed with Quincy Jones, Stevie Wonder, George Duke, BB King, Stanley Jordan & more. The 2nd Friday Street Festival is back and ready to light up the streets of Old Town! This monthly showcase features the area’s most exceptional talent in one action-packed community festival including live music, local craft beer & wine, food trucks, local artists & craftsmen, art demonstrations, kids activities and much more! Local Charlotte Renaissance man Jonathan K. Rice will be reading selected poems from his new book “Killing Time”, as well as presenting a number of his artworks at The People’s Gallery. Take the opportunity to enjoy this 20-year veteran poet/artist’s many talents, and have a Saturday brunch-time mimosa on us! You saw the movie with Jack Black right?! Well, see the real thing with REAL KIDS performing all your favorite hits! The School of Rock Show Team performs music from Motown all the way up to today’s Mega Hits! This family-friendly event is enjoyed by everyone. Be prepared to dance the night away and enjoy an evening of music under the stars. 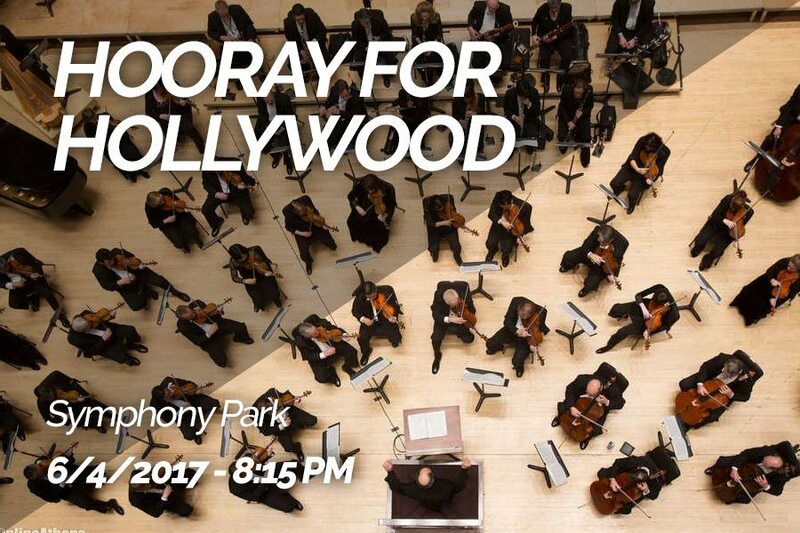 The Charlotte Symphony is joined by musicians of the Jazz Arts Initiative to bring you a night of standards. Hear all the favorites including In the Mood, Stardust, Moonlight Serenade, Chatanooga Choo Choo, Sing, Sing, Sing, plus some interludes featuring selections for Jazz combo. Treehouse Vineyards will host a “kickoff party” to help The Sandbox as it prepares for its annual “An Evening of Believing” Prom. The Prom is a special event held each fall for kids and teens in the area facing cancer or another life-altering illness. Guests at the Vineyard can enjoy wine tastings and tours (for a small fee), shop with vendors showcasing art, jewelry, clothing and more. Guests will also have the opportunity to purchase raffle tickets to support The Sandbox. The Taste of Charlotte is a FREE event. Purchase festival coins for restaurant samples, beverages, and kids activities. The festival features over 100 samples from area restaurants along with live music and entertainment, interactive children’s activities, cooking demos, street performers, unique shopping and large variety of local, regional and national partners interacting with festival-goers, providing information, coupons and free stuff! June all about our favorite Hero’s. 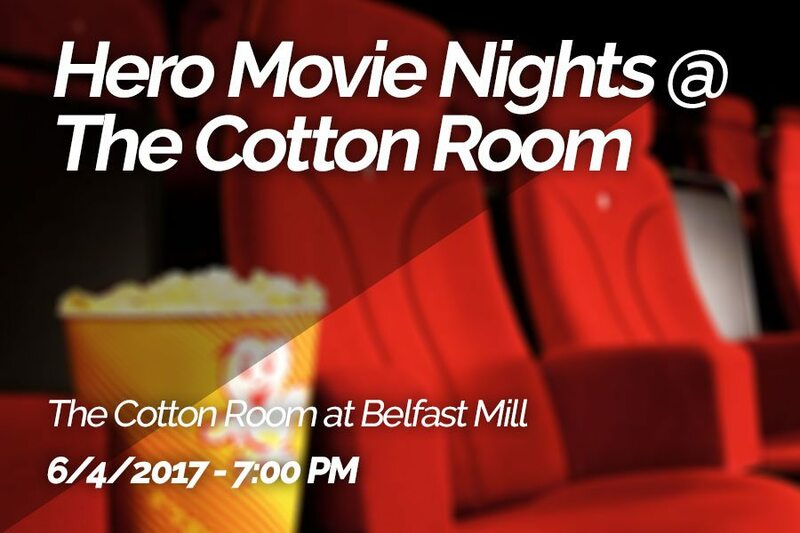 This week THE COTTON ROOM is pulling down the big screen to watch ‘Deadpool’. As always, they’ll have $3 Domestics, $5 Tito’s and Deep Eddy’s Vodka, along with $5 Crown Royals. Their month-long drink special is $9 Reyka Mules, which is the perfect drink for any hero! 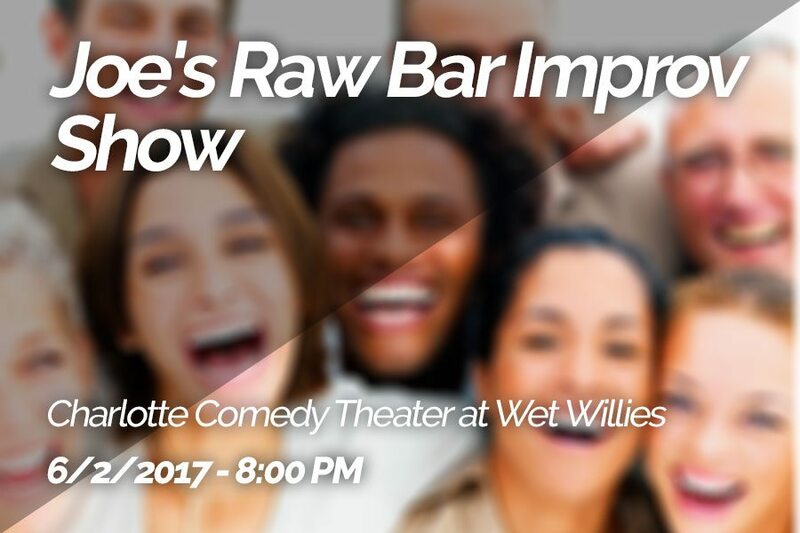 Join the originating improv comedy theater in Charlotte in welcoming back the all star, old school cast of Joe’s Raw Bar to Charlotte Stages. This group used to perform together over a decade ago in what they call the Plaza Midwood Daze, when this Charlotte Comedy Theater ensemble was the only one in town! Come revisit old friends in this monthly reunion show. 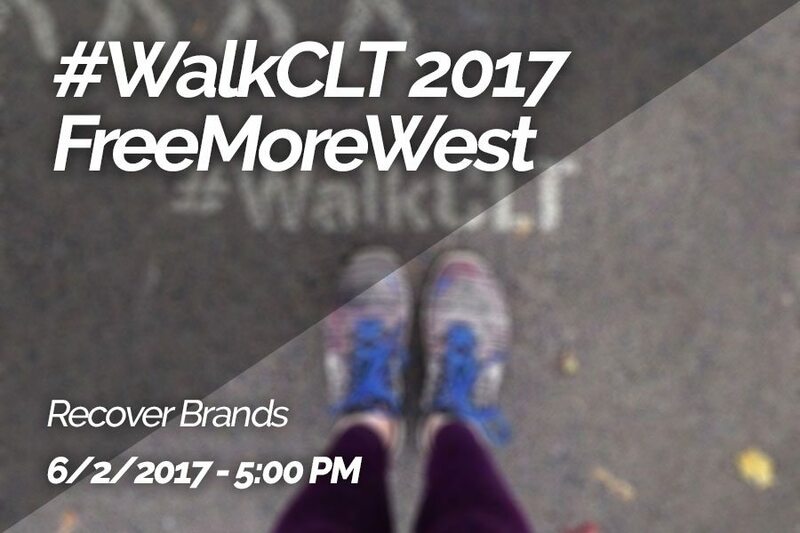 In partnership with OrthoCarolina and #thesavageway, #WalkCLT aims to raise awareness of the role that walking can play as a mode of transportation and the many social, environmental, and economic benefits walking generates for ourselves and our community. 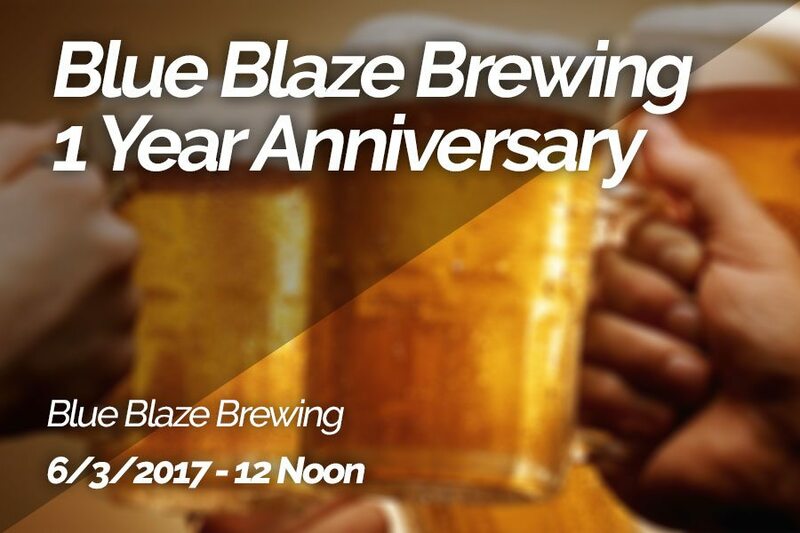 Help Blue Blaze Brewing raise a glass to cheers 1 year! Come out with friends (or meet new ones) for beer, bands, and fun! Fresh Med food truck, specializing in Mediterranean fusion cuisine, is celebrating their 1 year with us as well! Walk or Ride your bike up the Stewart Creek Greenway for those near Uptown. For those on four wheels, parking will be available. Fun Games for kids including- Bounce houses, game trucks, food and drinks, and an abundance of field games, all for 5 dollars. Proceeds go to the Levine Children’s Hospital, in honor of late Elizabeth Barry. 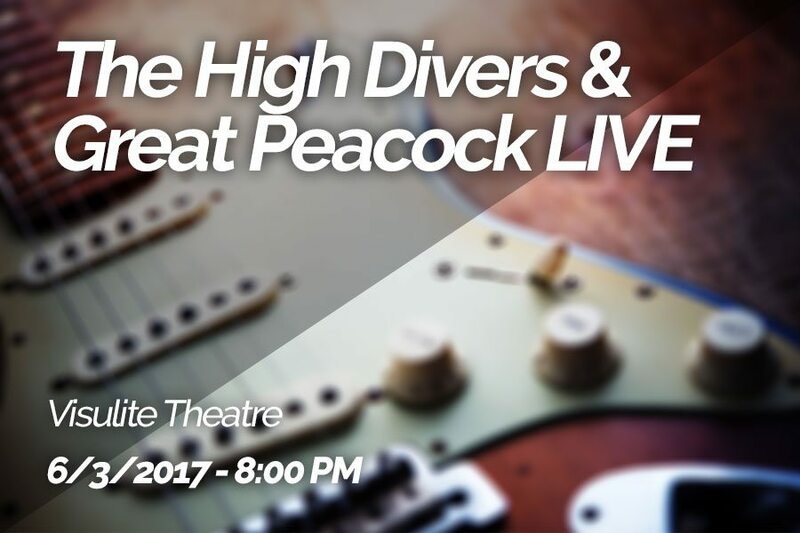 Rock and Roll bands The High Divers (Charleston, SC) and Great Peacock (Nashville, TN) will be live in concert at the Visulite Theatre on Friday, June 2nd! Tickets are $10 advance, $12 at the door. Doors open at 8pm. This show is one of many on a month long coast to coast tour! 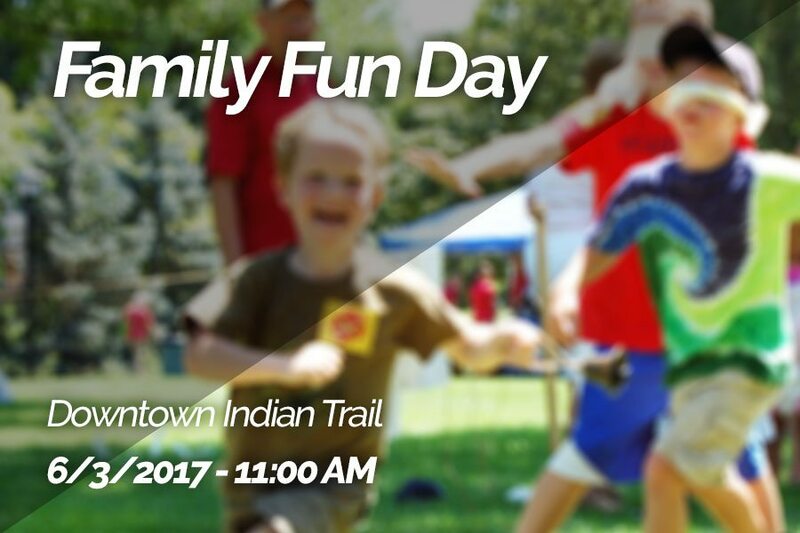 Family Fun Day is Back! It will be taking over the streets of Indian Trail for an all day festival. 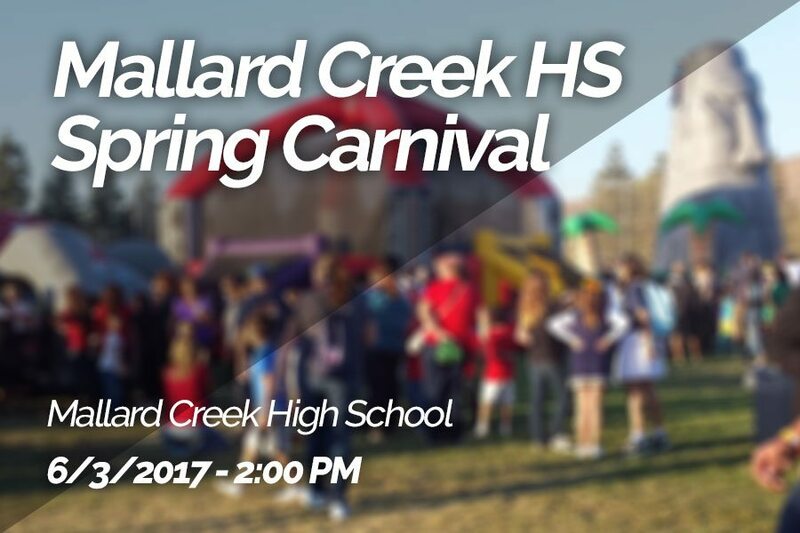 Enjoy vendors, music, rides, food, contests and more! 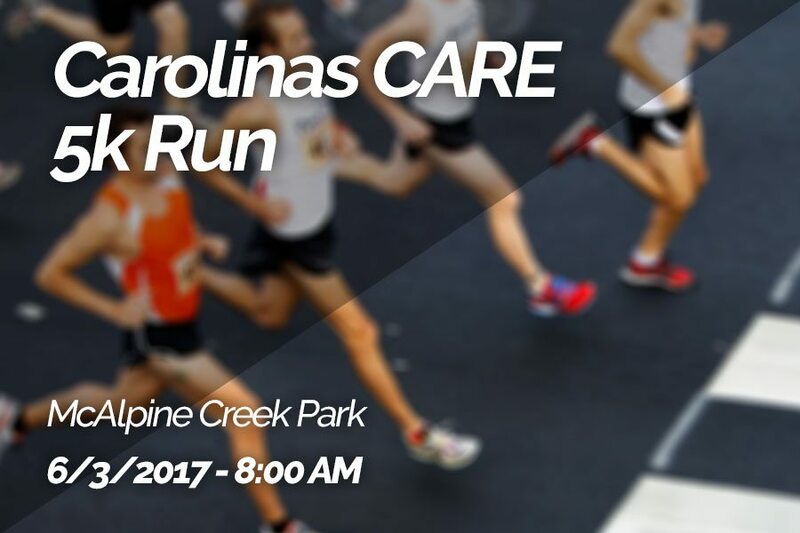 Carolinas CARE Partnership is holding its annual Carolinas CARE 5k Run. Each runner will receive a FREE T-Shirt and Finisher Medal. 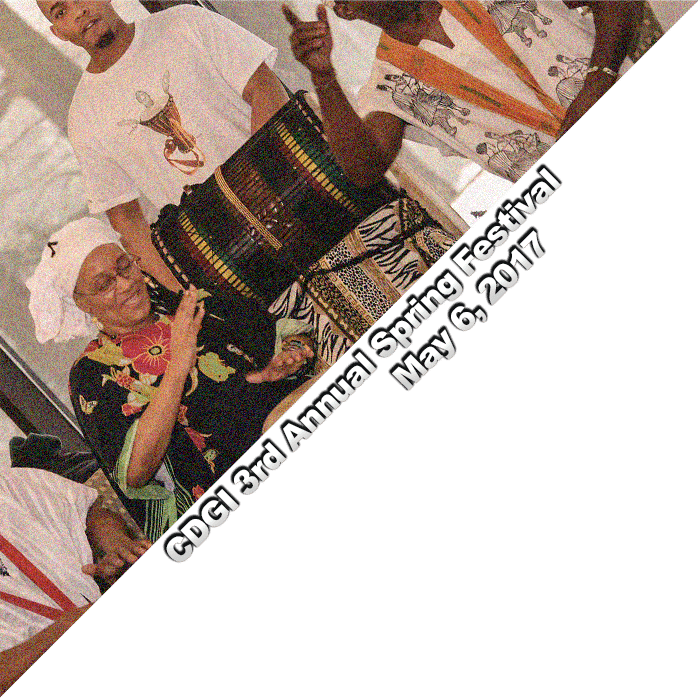 Proceeds go towards funding for programs focused on ending Chronic Homelessness Among people living with HIV/AIDS in Mecklenburg County. Features themes from Hollywood blockbusters including West Side Story, The Pink Panther, Beauty and the Beast, Pirates of the Caribbean, Harry Potter, and more! June all about your favorite Hero’s. This week The Cotton Room is pulling down the big screen to watch ‘Ironman’. As always, they’ll have $3 Domestics, $5 Tito’s and Deep Eddy’s vodka, along with $5 Crown Royals. Their month-long drink special are $9 Reyka Mules, which is the perfect drink for any hero! There are certain holidays that bring about particular emotions. Valentine’s Day is for love and romance. Easter, Halloween, and Christmas all offer memories and traditions. Thanksgiving and New Years are times to think about blessings and opportunities to come. But there are holidays that are set aside to consider just “HOW WE GOT HERE” as a country, and remember the incredible sacrifices that have been made so that we may live in a free America. 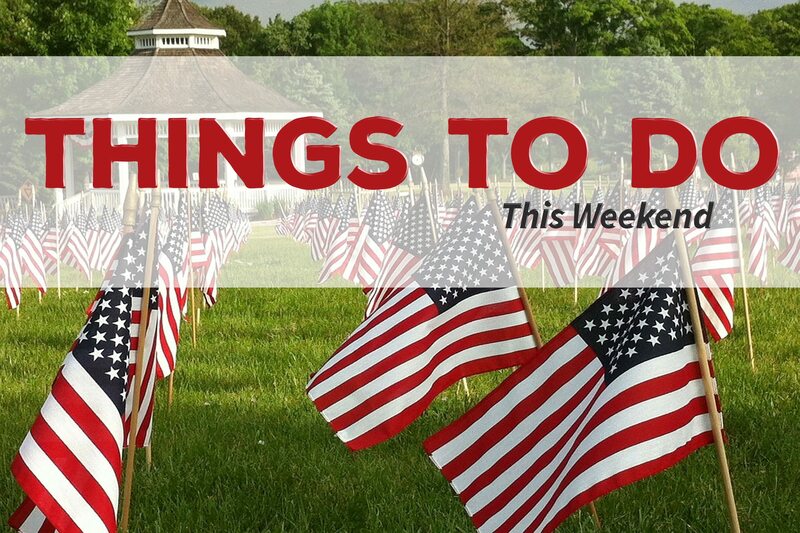 Memorial Day Weekend is a few days, every year, that we can anticipate cookouts, an extended weekend, time with family and friends, and celebrating all things USA! It’s a different feeling than July 4th, when we celebrate our nation’s independence. It’s taking time away from our burgers, hotdogs, and potato salad to realize that, without the efforts and devotion, from our service men and women, that we wouldn’t have the wonderful freedoms that we cherish. 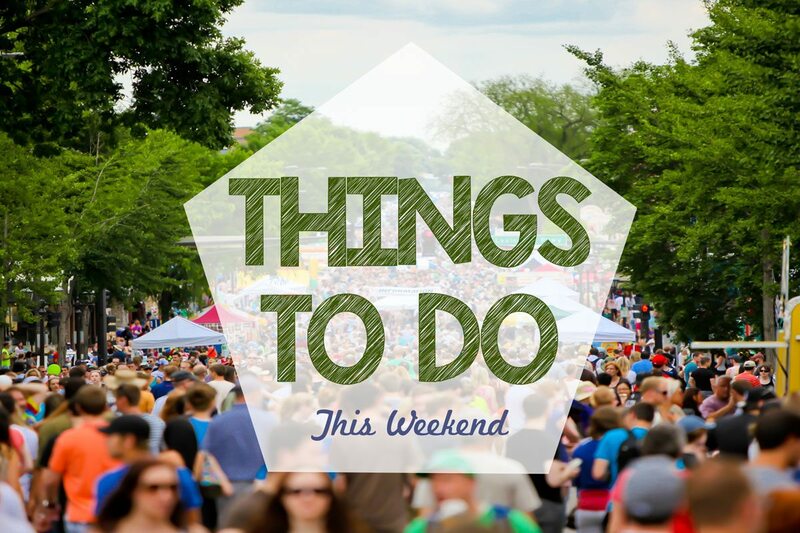 This week’s edition of “Things To Do This Weekend” shines the spotlight on friendship, culture, health and activity, fun, and fanfare. There are so many enjoyable events, that will attract all walks of life across the Charlotte Metro area, and it only involves taking the initiative to try something new! Revel in your extra time off on Monday. Make some special memories with family and friends. Consume just as many (or few) calories as you can at your bbq. But be sure to pause, and be thankful, for the unbelievable amount of commitment and sacrifice that it took for us to enjoy our holiday. 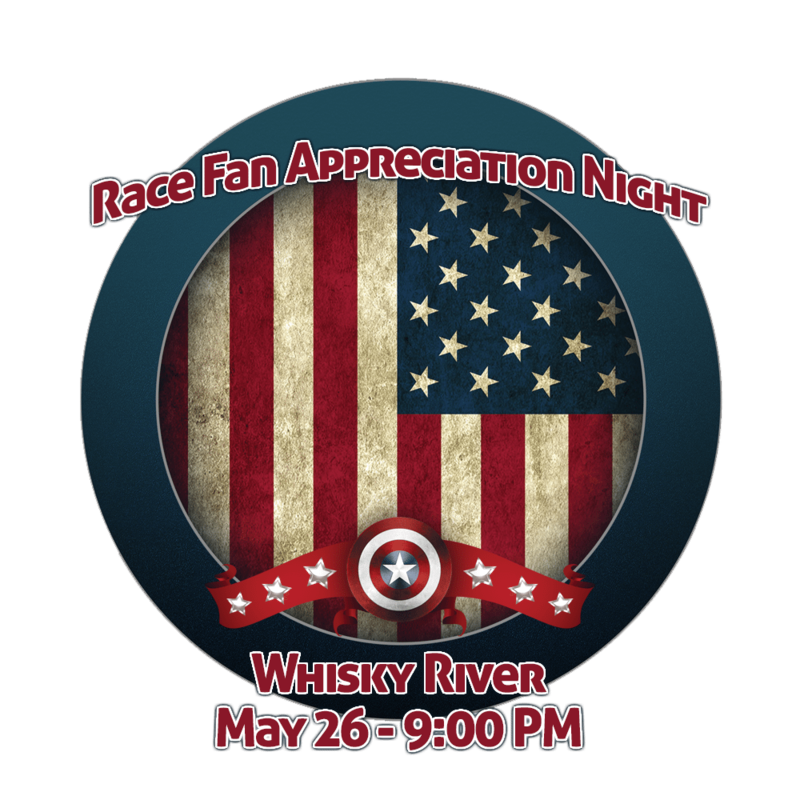 Don’t miss this RACE FAN APPRECIATION NIGHT at Dale Jr.’s Whisky River! This will be Dale’s last Coke 600 so make sure you stop by his bar and sign the GIANT BANNER they’ll have hanging in the bar to wish him GOOD LUCK! Prizes and giveaways with Miller Lites and light appetizers provided. 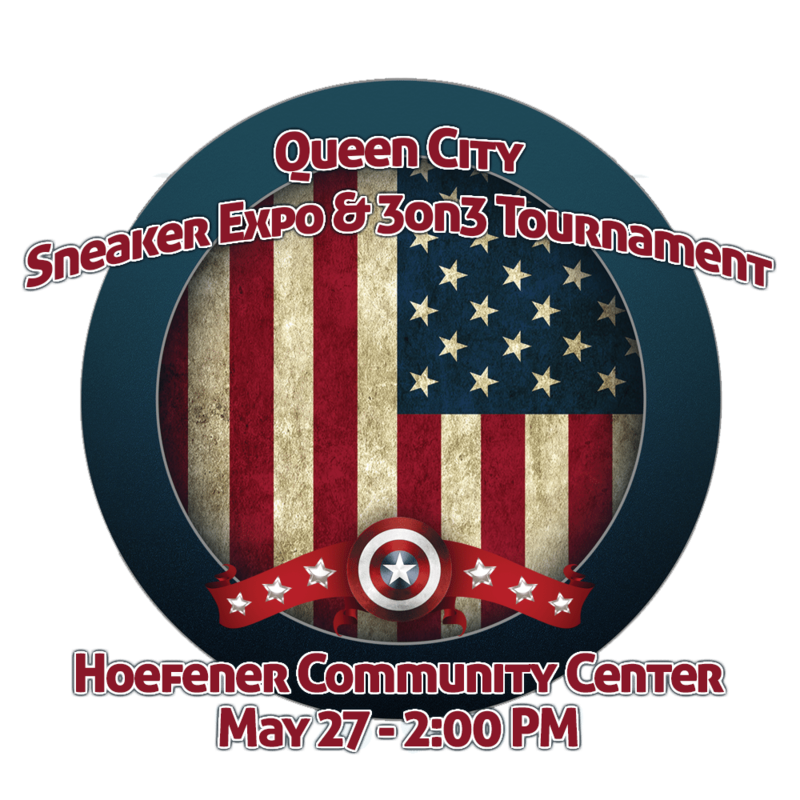 The Queen City Sneaker Expo & 3on3 Tournament is the #1 “Sneaker Culture” event in North Carolina. This is a BUY/SELL/TRADE event. Custom exclusive sneakers plus some of your retro or classic favorites. There is also a 3on3 tournament with cash prizes and trophies for the winners. Food, music, vendors, and great entertainment rounds off this must attend event. This is a FREE family friendly event. 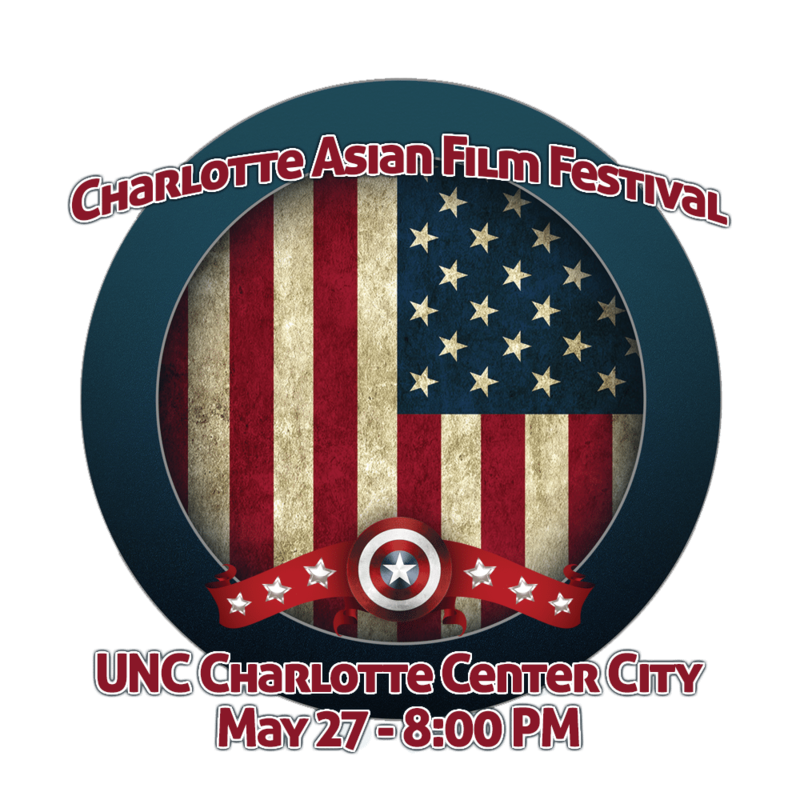 The Charlotte Asian Film Festival will be a joint effort of the local Asian-American community and others who see value in this novel addition to Charlotte’s cultural landscape. The Festival will be held as part of Asian Heritage Month celebration. The screenings will include full-length feature films, shorts and documentaries that provide a window on various facets of Asian society, culture and history both in the native lands and in the diaspora. You’ve never experienced an evening like this, with old school R&B and Hip Hop and Board Games. Who’s Got Game? Find Out at this adult board game night. 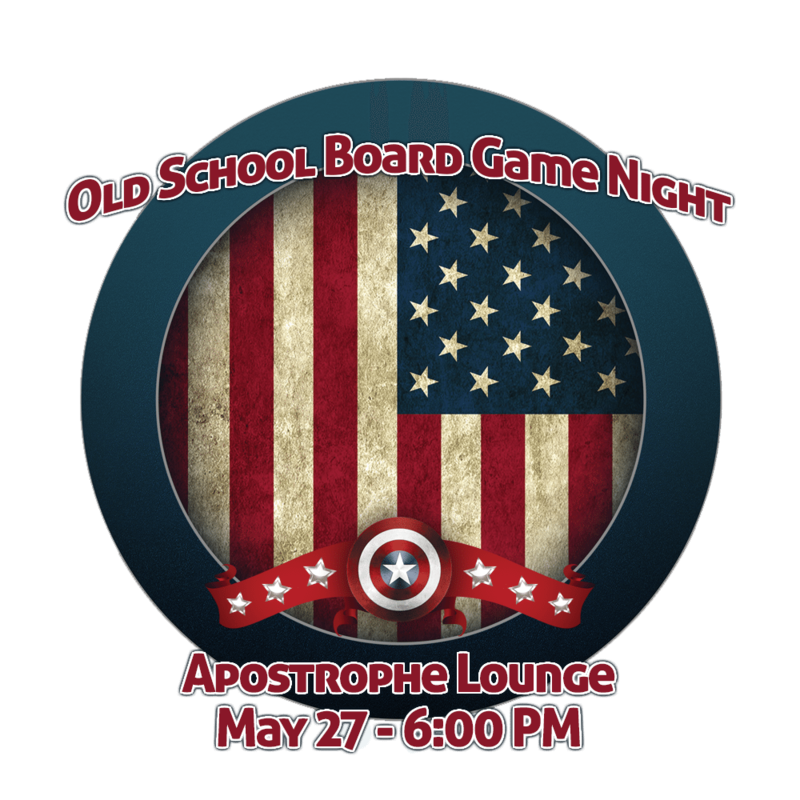 Enjoy an evening of grownup company with Scrabble, Spades, Jenga, Twister, Connect Four, Taboo, and Dirty Minds while listening to R&B and Hip Hop music of the 80s and 90s. Games, music, food, and fun! You coulnd’t ask for a better night out. Must be 30+ to attend. Enjoy live music and various handmade craft vendors! Studio Coffee will be serving specialty coffee beverages, muffins and pastries. D9 Brewing Company will also be selling beer and Mama’s Pizza Express is across the street selling pizza & Italian Food! One of the country’s largest gospel music festivals is returning to Carowinds! Be blessed and inspired from award-winning gospel musicians including Kirk Franklin, The Mann Family, Tasha Cobbs, Travis Greene, and Dee-1. This year’s Mint Hill Madness festival pairs new offerings with a lot of fan favorites. The 34th annual, family-friendly festival joins the traditional carnival rides, games, boardwalk-style food and arts and crafts vendors, this year’s festival will once again include an Artisan Tent featuring local artisans demonstrating their work. Live entertainment continues to be a big part of the festival and headliners for this year include: Da Throwback Band; Blue Monday and Satisfaction-Tribute to the Rolling Stones. 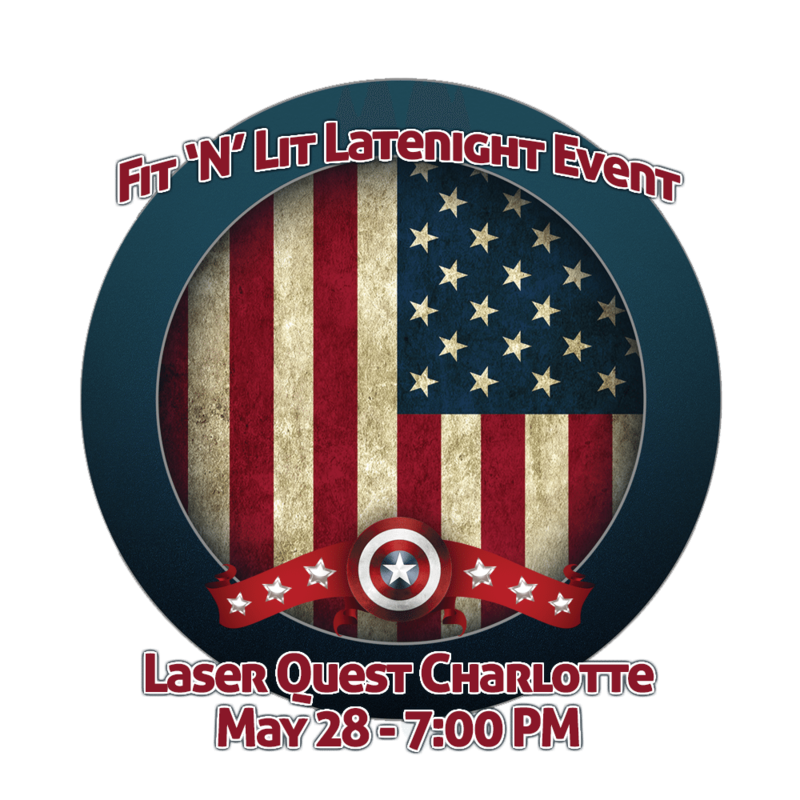 Go out to the world’s leader in laser tag for a night of heart pumping fun! Get your summer body ready with LQ. 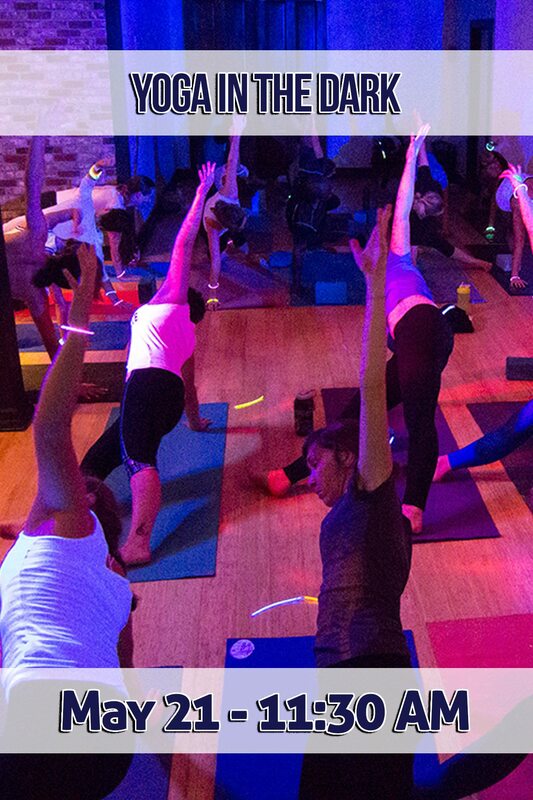 They’ll have specialty missions, group workouts (aka DANCING) yoga, and snacks to keep you fueled. Wear headbands, sneakers and get your workout partners! This year marks the 1st year of entertaining families and friends by bringing the Carolina Fair to Charlotte. Family-fun, all at an affordable price! Admission is FREE for kids 4 and under, $5 for Seniors (60+) and Kids 12 and under. Adult Admission is $10. Enjoy carnival rides and fair food – plus enjoy a variety of attractions FREE with your paid fair admission. Attractions include: Meet & Greet with Disney’s Peyton List, Wolf Shows, Wild West Shows, Comedy/Magician Shows, Marvelous Mutts, Tiger Shows and more! We know it’s hot. We know that the Summer months and summer heat waves are coming quickly. We know that we’ll have to put on extra sunscreen the next 3+ months and water our grass a little extra. It certainly comes with the territory of living in Southern North Carolina. 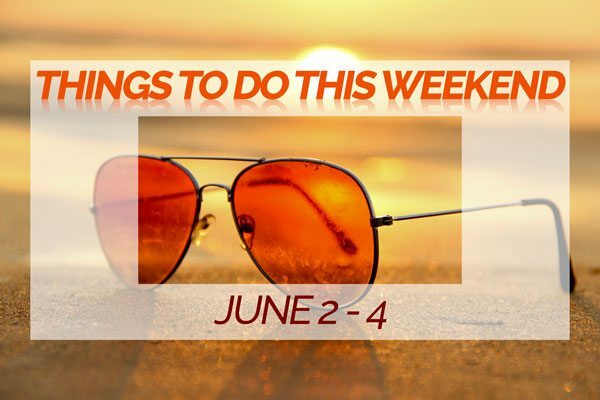 There can always be a sense of ‘getting through’ any season, but it’s truly WHAT you do in that season that makes all the difference and this week’s, “Things To Do This Weekend” provide all kinds of fun and eventful opportunities to get out and make some early summer memories. From family events, special galas, and charity efforts, you can certainly find your place to be INSIDE. If you prefer to be on the move and perspire a little this weekend, there are some wonderful outside happenings that offer competition, challenge, and success at the end of the day. In the Carolinas we are so fortunate to experience such amazing culture when it comes to food, art, the wide variety of people, love, and FUN. 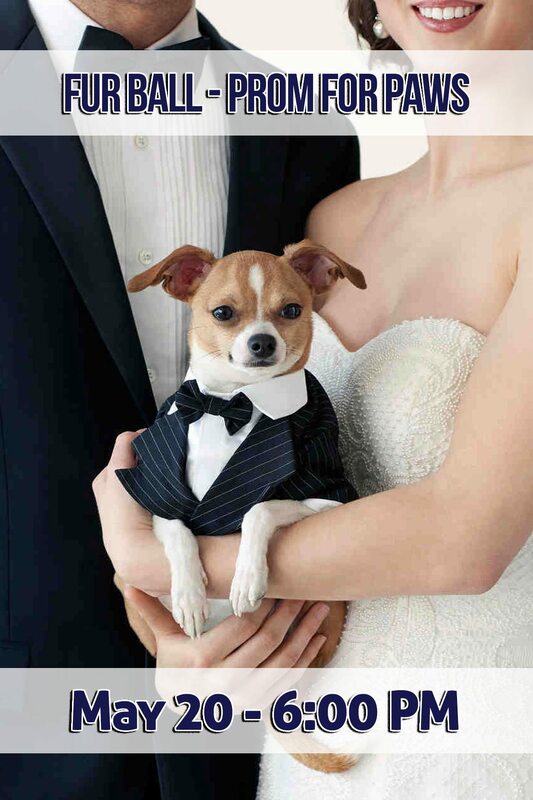 Go splash in a wave pool or dress up your furry friend for a formal gathering. Whether in mid-day or evening, the next couple of days have a lot to offer in the way of staying LITERALLY cool, and certainly SOCIALLY! For the Queen City and beyond, LIVE IT UP! What is Southern Cuisine? Have you ever experienced Southern Hospitality? Can you get more locally Southern than the farm up the road? On this tour, sample and sip your way through some of Uptown Charlotte’s best representations of the local South. Chefs and restaurant owners will explain the influence of Southern Heritage in their cuisine & beverage menus. Join The DreamChaser’s Brewery for their Monthly Sip & Shop. This is special as it’s The DreamChaser’s Brewery 1st Anniversary Celebration! 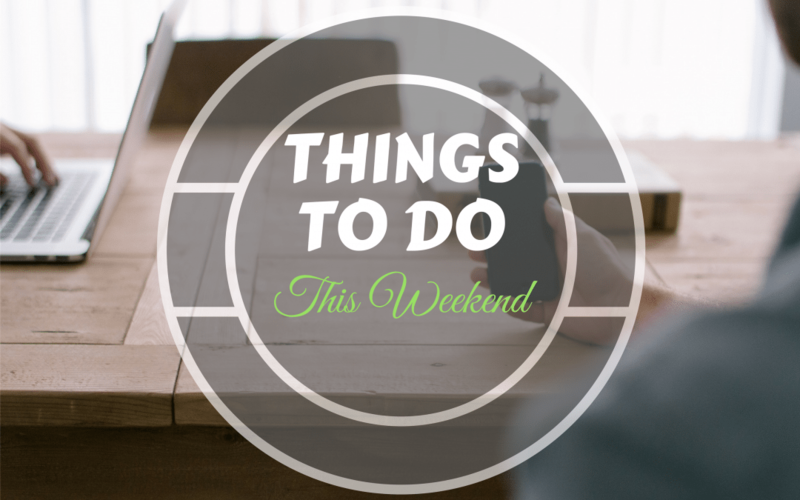 Celebrate the weekend in Waxhaw by bringing the community out to Shop Small & Support Local businesses! Plus Sat/Sun, the Kaleidoscope Festival will in full swing! They’ll be featuring local, handmade artisans and handmade foodie vendors. Take the Initiative! By joining and fundraising for the Charlotte LUNGe Forward, you’ll be helping to make a change for all those affected by lung cancer in North Carolina. Together, there’s always something we can do! 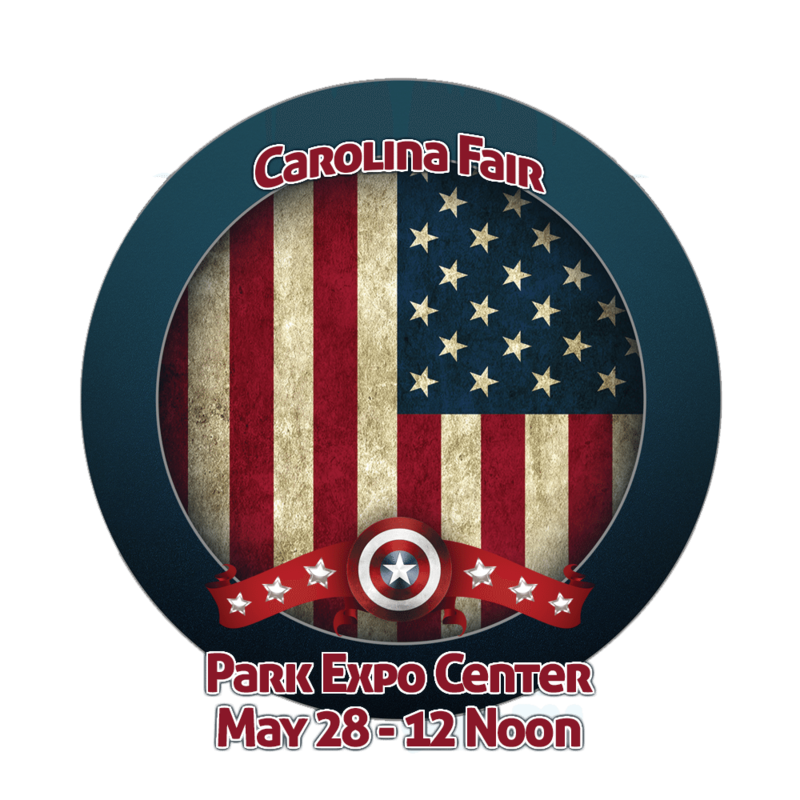 Special expo includes entertainment, exhibits, and music. Enjoy the final market before Fall. Located behind the Smelly Cat Coffeehouse & Roastery and NoDa Company Store. 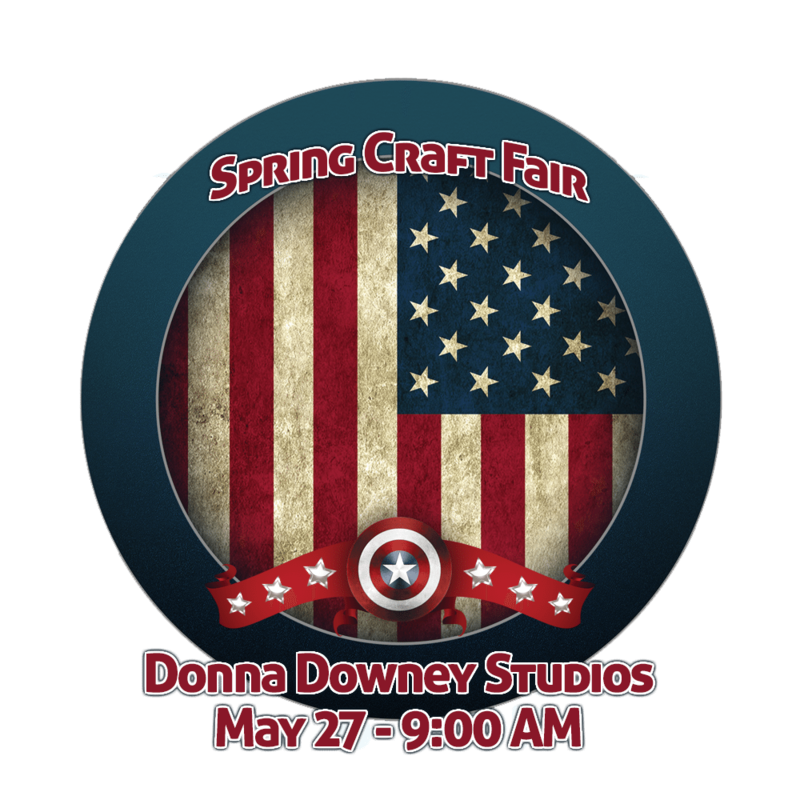 There will be locally produced works of art, jewelry, body products, clothing, housewares, pet products and more! 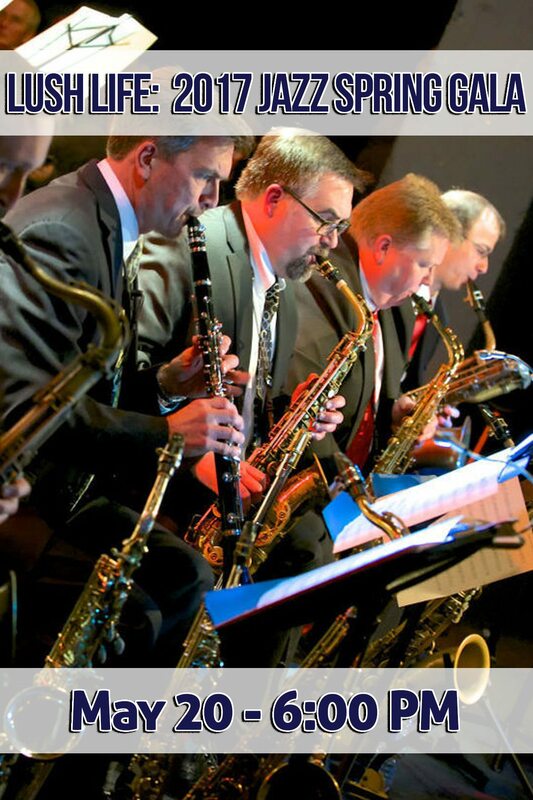 This elegant evening will include a superb three-course dinner, open wine bar, and feature live music and dancing from the renowned Piedmont Triad Jazz Orchestra with guest vocalist Mandi Stapleton playing the classics of Ellington, Basie, and Strayhorn. Black tie preferred. The evening will include a special champagne raffle featuring unique items donated by Windsor Jewelers. Jazz Arts Initiative will also recognize two national honorees with the Nica’s Dream Achievement Award and Ellis Marsalis Excellence Award for their extraordinary contributions to Jazz music and Jazz education. The Fur Ball is a Prom for Paws where people and their pets come together for the “purrect” cause – Catering To Cats & Dogs. With dinner, dancing and a lot of tail wagging this whimsical event is designed just for pet lovers. Guests will have a hard time sitting still as they lap up the Pet Superlative Photo Contest and pounce on the Silent Auction items. In true prom style, the night tops off with the crowning of a Prom King and Queen and everyone goes home with a “Wag” bag! 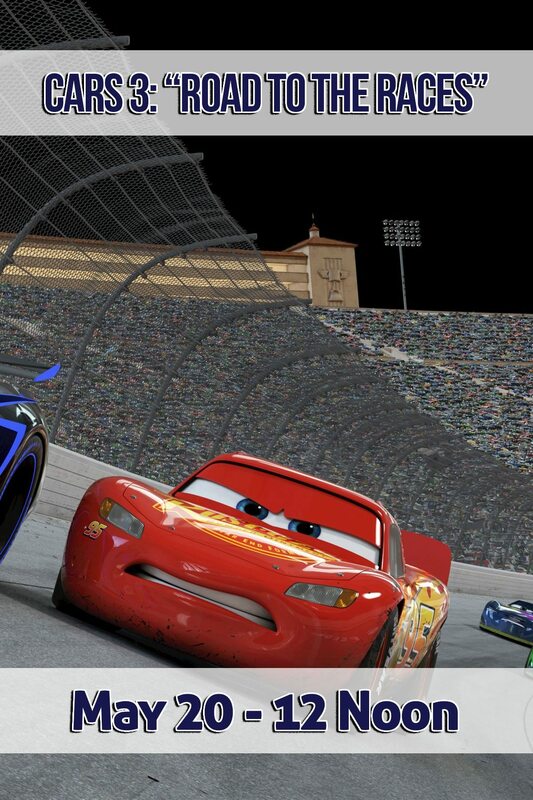 The CARS 3 “Road to the Races” nationwide tour will be stopping in Charlotte this weekend. Life-size, character look-alikes of five-time Piston-Cup champion Lightening McQueen, tech-savvy Cruz Ramirez, and the sleek next-gen racer Jackson Storm will be rolling into the Charlotte Motor Speedway to celebrate the new movie, which opens in theaters nationwide on June 16, 2017. This free event is open to the public! Fans will have the opportunity to: Take photos with the “stars” of the movie, participate in a host of family-friendly activities, race pit crew tire-changing simulation, get a first look of the new movie in the Cinetransformer Mobile Movie Theater, and much, much more! The Atlantic Ocean isn’t the only aquatic getaway that North and South Carolina share. 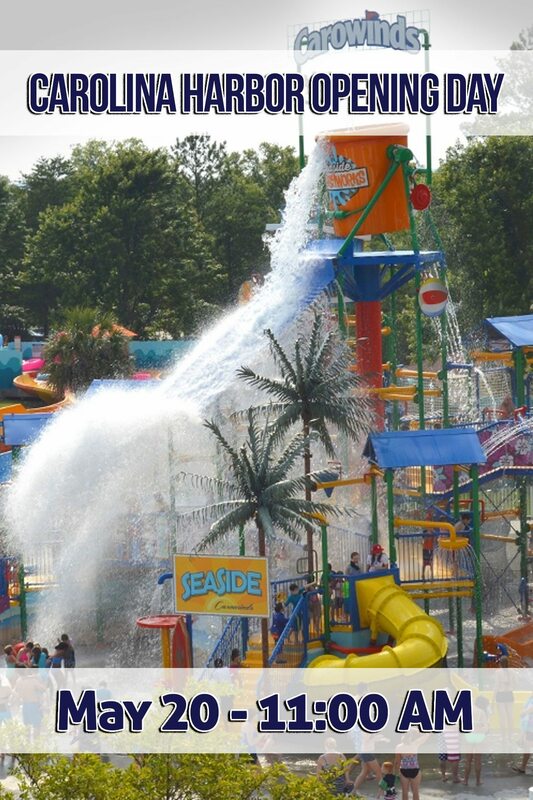 Carolina Harbor Waterpark is nestled right between the two states at Carowinds. The waterpark boasts a six-story water slide, two wave pools and a two-acre family area guaranteed to cool guests off in the summer heat. When not seeing can be helpful… Experience the benefits of blindfolded yoga with Metrolina Association for the blind. Jessi Sauls will lead participants through a blindfolded yoga class from on the Stewart Creek Greenway outside the Blue Blaze taproom. By restricting sight, participants will enhance and activate their senses of balance and focus. Any self-conscious or competitive spirit is removed, and participants are able to journey deeper for inner truths. 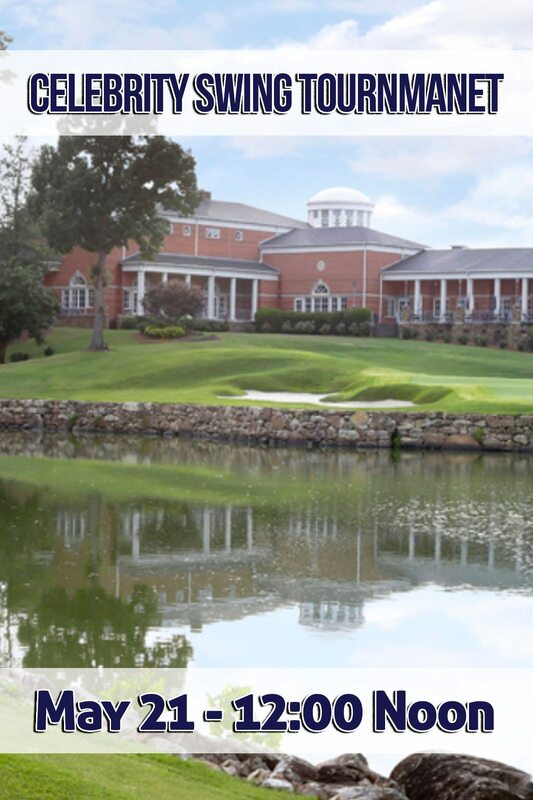 26 celebrity athletes and over 100 golfers will be taking part in the first annual NFL-Alumni Carolinas’ Celebrity Swing Classic golf tournament at River Run Country Club in Davidson, NC benefitting the Ada Jenkins Center. The two-day event will be VIP-style and consist of custom swag bag with FootJoy and Maui Jim products, celebrity draft party, cowboy steak dinner, complimentary beer and wine. Participating this year are Eric Dickerson, Bruce Smith, Sterling Sharpe and Charlotte Today’s Eugene Robinson. Time. For certain, it’s fleeting. Every present (and passing) day is an opportunity to celebrate that very moment that you have. It doesn’t always require balloons, flowers, cards and noisemakers. You don’t necessarily have to present special gifts, and throw parties every day, in order to show your appreciation for life and the special times. It’s an intentional effort to be thankful for family, for friends, for favorable circumstances that offer enjoyable and productive activities. 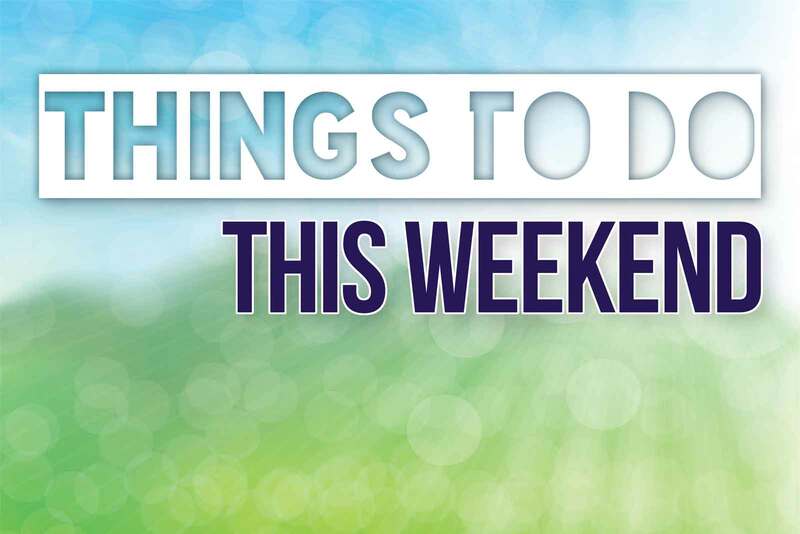 This week’s edition of “Things To Do This Weekend” is all about recognizing special people and special occasions. A lot of Mothers will be celebrated this weekend. A lot of young (and young at heart) students will graduate this weekend (and in weekends to come). These are yearly happenings, that are here, and then past, so it’s important to recognize their achievements. Mom’s have survived the toddler, school age, teenage and young adult years. They’ve proven time and time again that they have super powers in the areas of: PATIENCE, UNDERSTANDING, NURTURING, CARING, FEEDING, FIXING, & most importantly LOVING! What’s your plan to show Mom just how important she is in your life? If your mother is no longer with us, it’s a great time to remember how cherished she was, and how you wouldn’t be the person you are today without her influene and guidance. Graduates, you’ve made it! You’ve also survived endless (it seemed) hours of preparing, studying, and writing. You’ve passed countless number of tests, you’ve successfully completed rounds and acquired skills to boost you onto the next season of your life. It’s now time to use your gifts and abilities to take on the world and make it a better place. Both Moms and Graduates have accomplished so much, and this weekend will be a perfect time to take part in all that the Queen City has to offer. Relax, be entertained, be energized, or learn something new. Try some new food, take in the community atmosphere, or simply make a difference in someone (or some animal’s) life. The Mother’s Day and Graduation Day weekend is wide open for celebration and enjoyment. 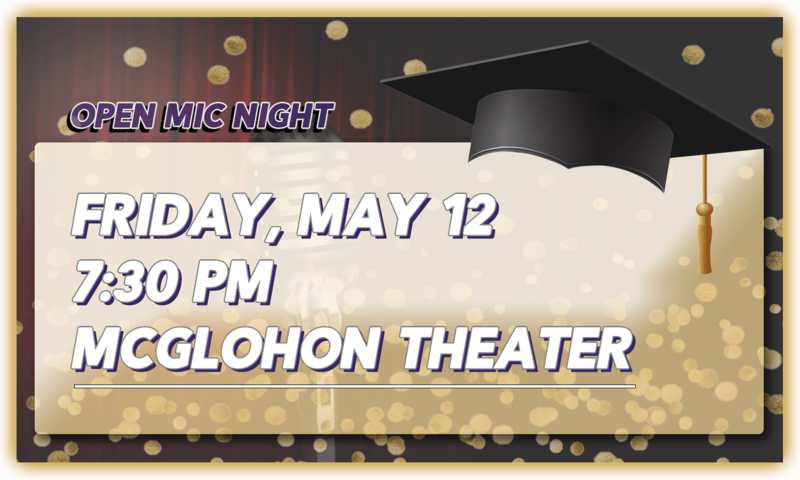 Blumenthal Performing Arts invites you to participate in their next OPEN MIC night. This FREE event is open to performers and spectators of all ages. Instrumentalists, singers, dancers, storytellers, poets, jugglers, magicians and others are all welcome. Audience seating is on a first-come-first-served basis. Family, fun, and friends! SouthPark invites the Charlotte community to come out for its FREE Family Fun Nights. Guests can enjoy live music, crafts, games and special activities with The Disney Store, American Girl, SouthPark Pediatric Dentistry and Carolinas Healthcare Systems. It’s the Annual Strawberry Day at the Charlotte Regional Farmers Market. They’ll be passing out free strawberry ice cream provided by the NC Strawberry Association and the NC Dairy Producers Association. 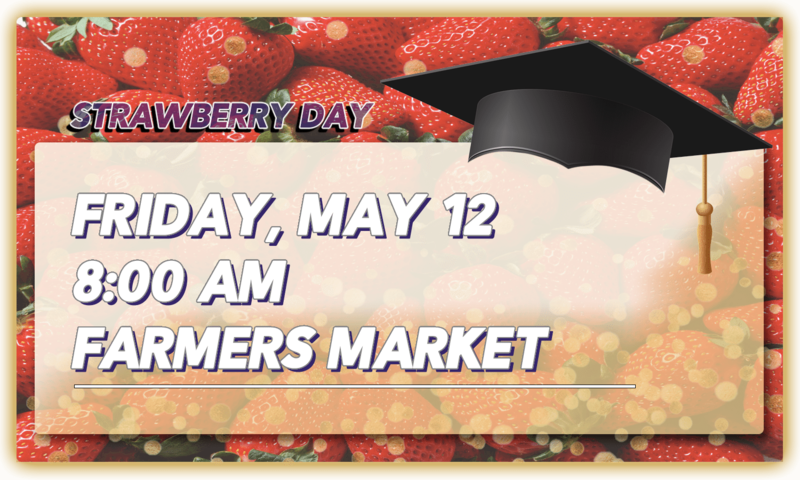 Vendors will have fresh strawberries, milk, cheeses, and more on hand for you to purchase while you are enjoying the free ice cream. 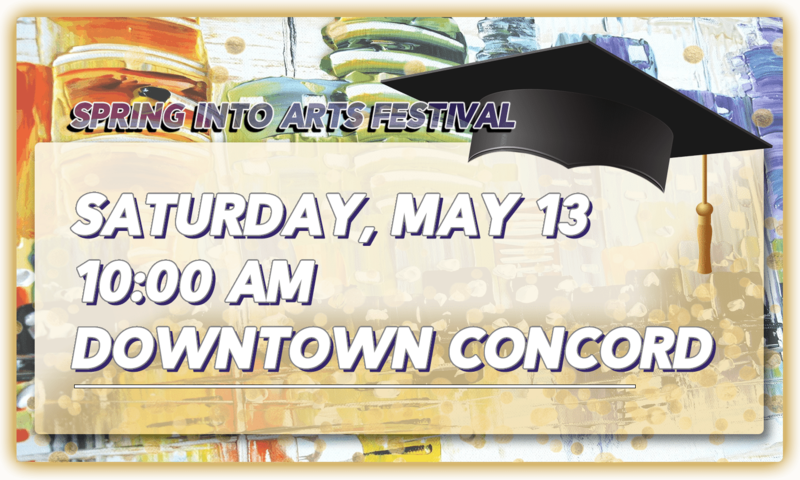 Enjoy this family-friendly event in Downtown Concord that showcases and promotes the visual and performing arts. 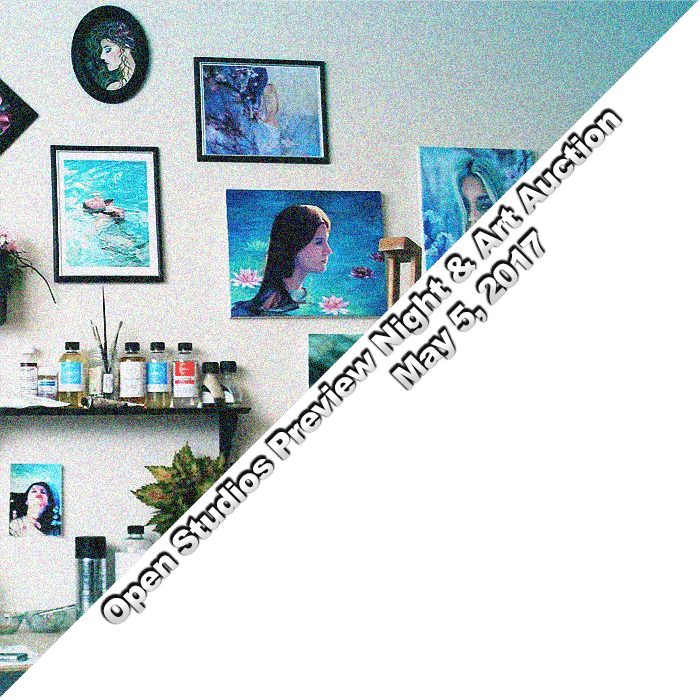 Featuring the juried art show, musical entertainment, fantastic food, and a children’s area that inspires the artistic side of all of us! Enjoy a tasty buffet breakfast, an encouraging message and a guided Journey of Faith tour. 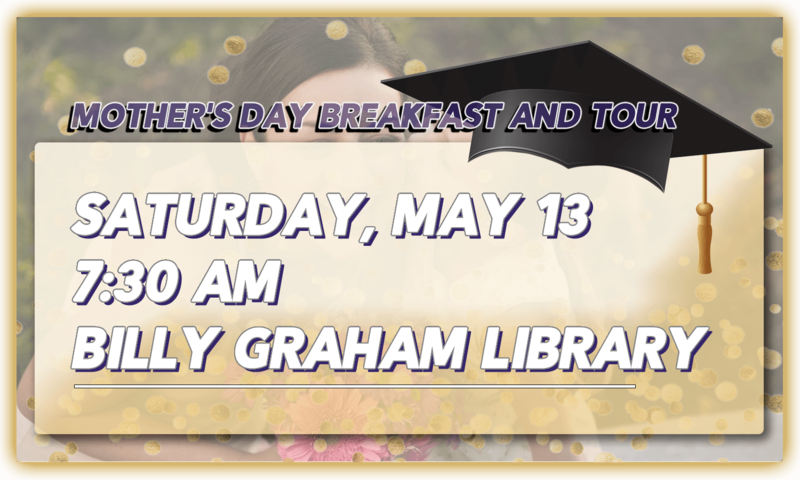 Breakfast will be served at 7:30 a.m., with the event running through 10 a.m. Each mother in attendance will also receive a special gift. 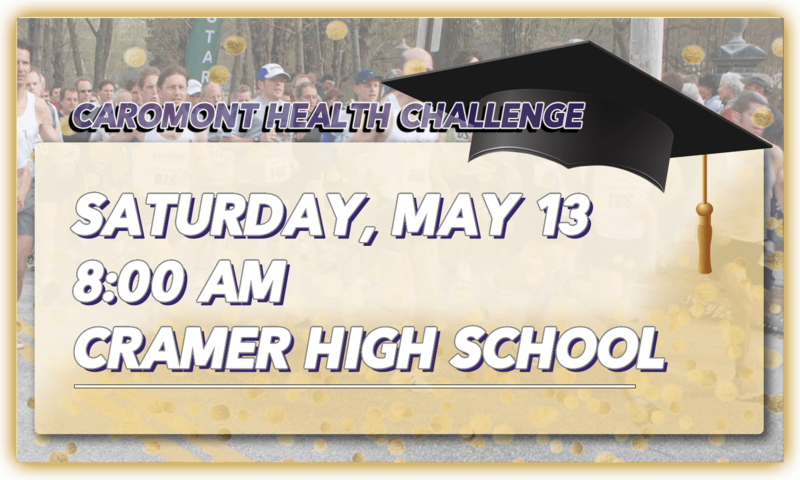 CaroMont Health is proud to present this year’s Community Challenge event. The purpose of the event is to inspire and challenge our community to health. 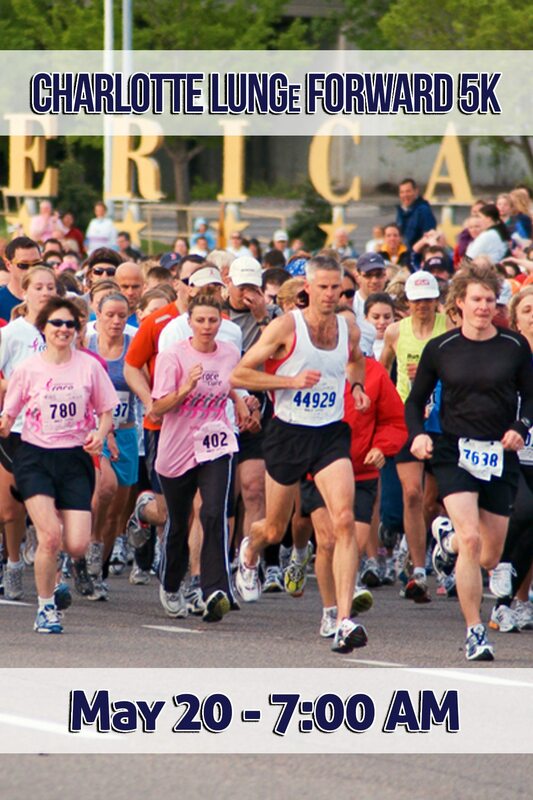 Regardless of your current activity level, there is something for everyone at this event. 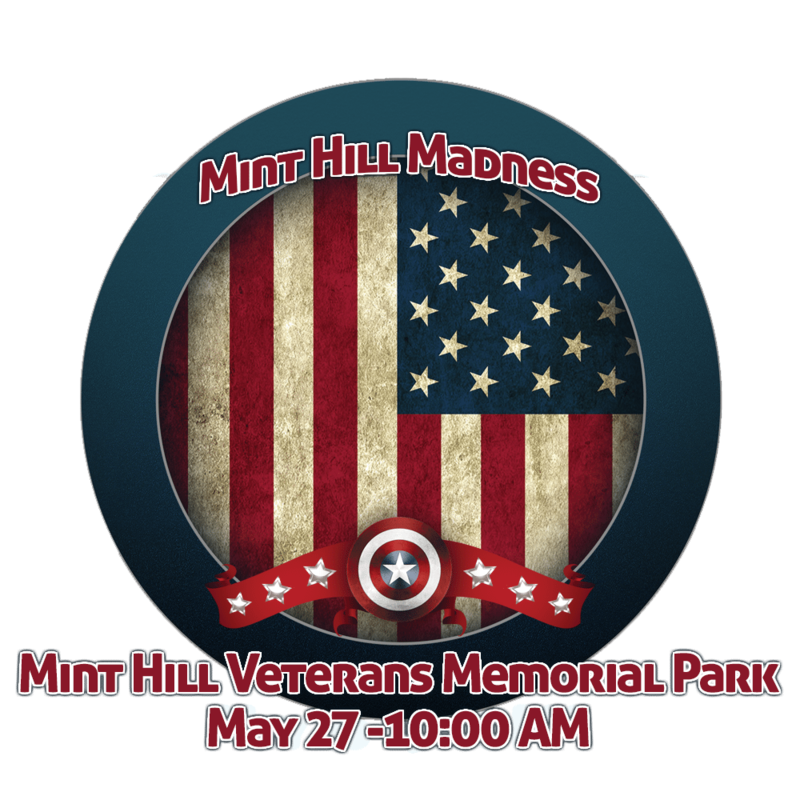 This event will feature a 1-mile fun walk, a 5K run, and a Let Me Run 5K. Come and spend the morning getting to know your neighbors while learning about CaroMont’s commitment to a healthy community. 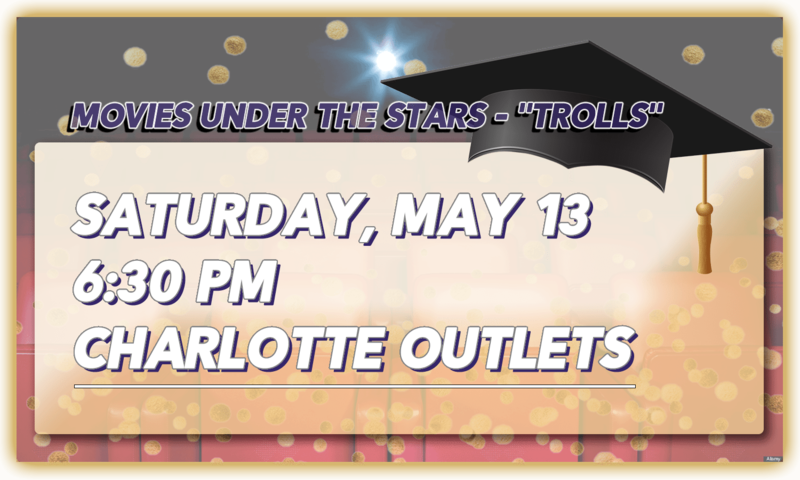 Charlotte families are invited to celebrate the start of summer by shopping the center’s sought-after outlet stores, followed by a feature film and family-friendly activities. Before the movie enjoy a face painter, balloon artist, games, giveaways, tasty treats and more! The feature flick, Trolls, will play at dusk on an impressive 24-foot screen. Moviegoers are encouraged to arrive early to take advantage of fabulous shopping, grab a bite to eat and get a spot! 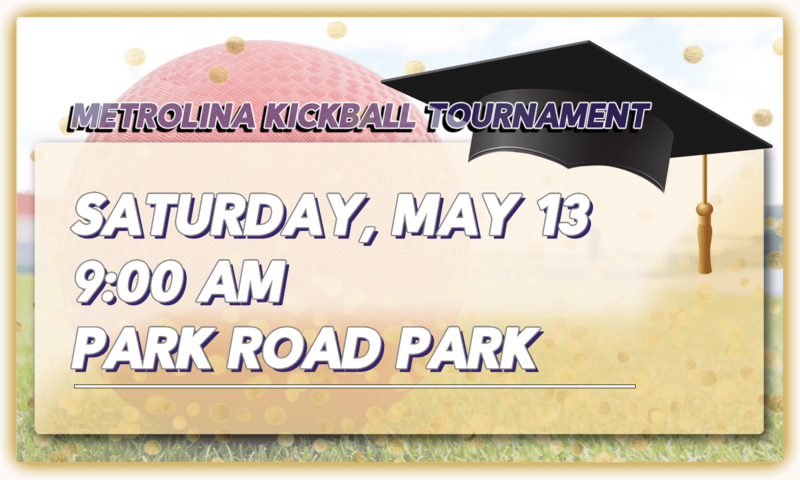 Come “Kick It” with Mecklenburg County Park and Recreation and celebrate the 100-year anniversary in the sport of kickball. Take part in this one-day, double-elimination tournament. All games will be played at Park Road Park. The cost for the tournament is $100 per team. Who is looking for something fun to do with mom? 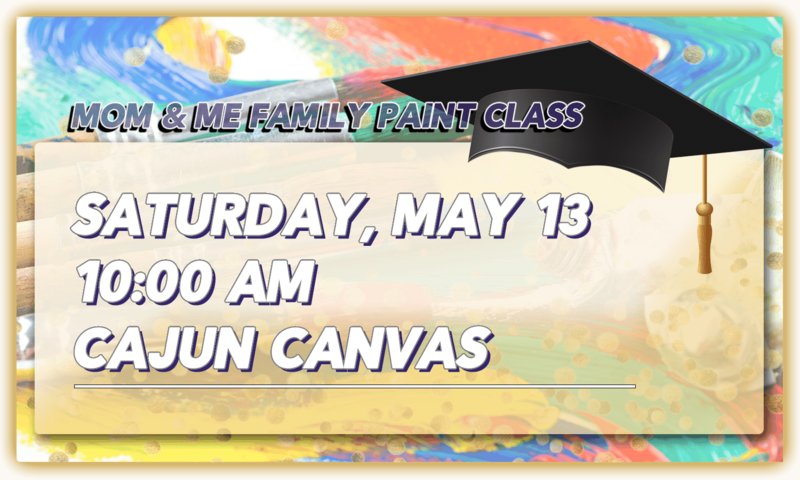 Parents, gather up the kiddos and enjoy the “Mom & Me” Family painting session. Each member of the family gets their own canvas. You will leave with a memento of your time painting together. There are few better things in life than celebrating saving animals lives with Paws for the Cause! This event will feature a Silent Auction, 50/50 Raffle, Acoustic jams by SuttleBand, Red Carpet photo ops, and live entertainment by AerialCLT. Proceeds benefit the Greater Charlotte SPCA. Celebrate “National Mini Golf Day” and play FREE Mini Golf for a year! 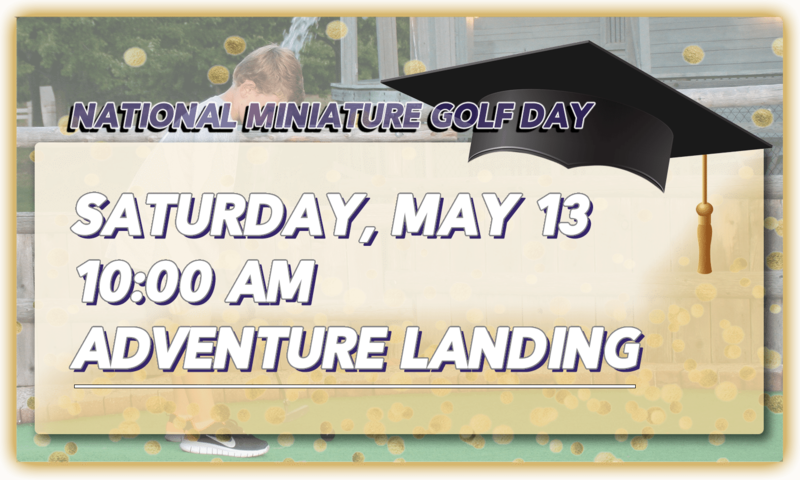 The first 100 guests at the park to purchase a game of Mini Golf or a Super Saturday Pass get a FREE Mini Golf season pass at Adventure Landing! Passes are only $25 after the first 100! 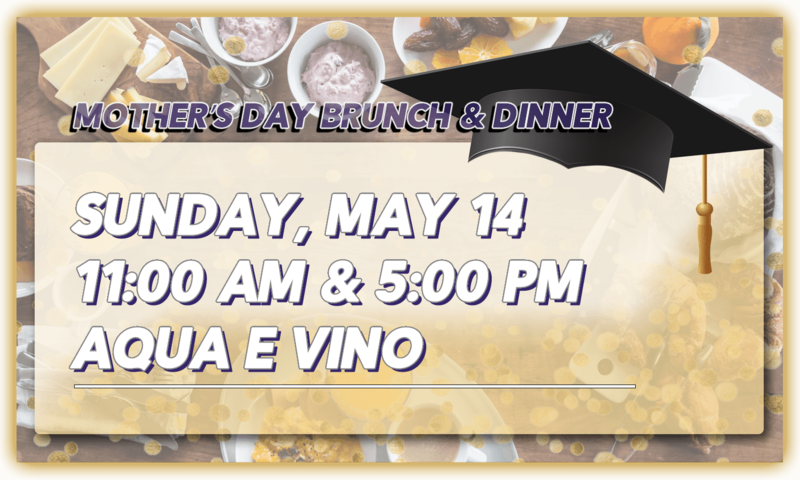 Join Aqua e Vino for Brunch 11AM – 3PM and 5PM – 9PM for Dinner. 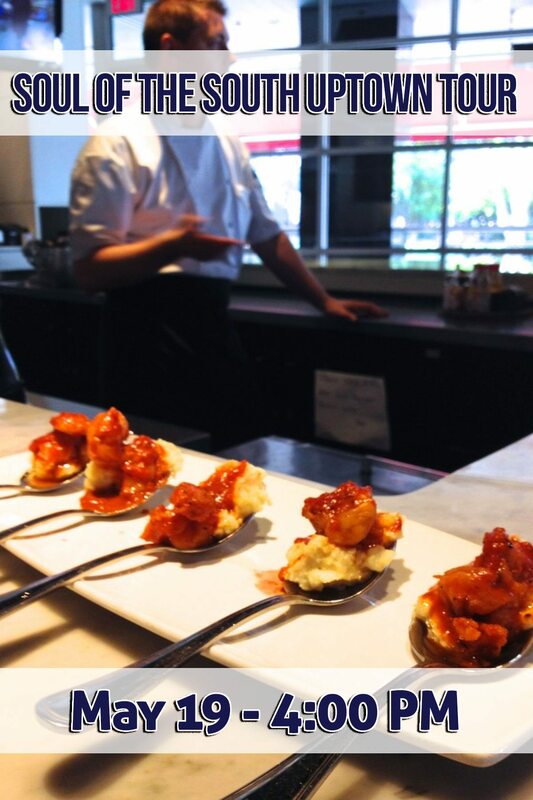 Brunch is Three (3) courses for $35 per person and Dinner is Three (3) courses $45 per person. 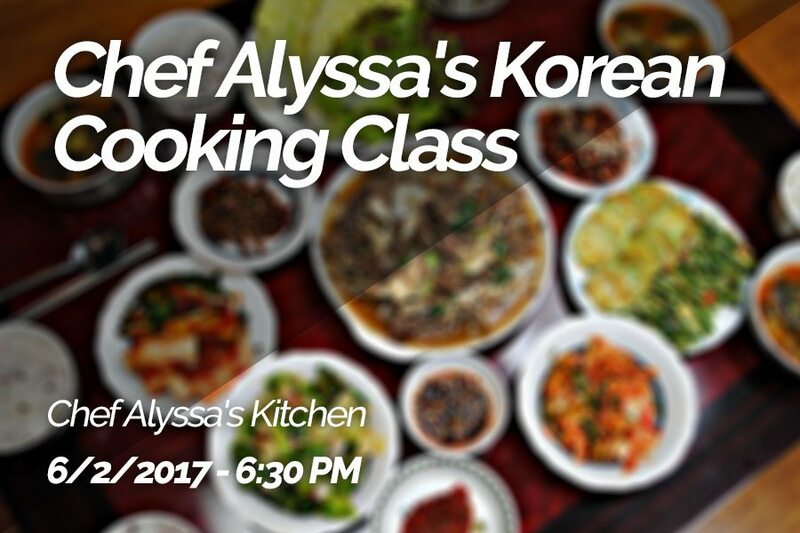 Seating is limited, so try to make reservations. Happy Friday! Happy Cinco de Mayo! Happy May 2017! 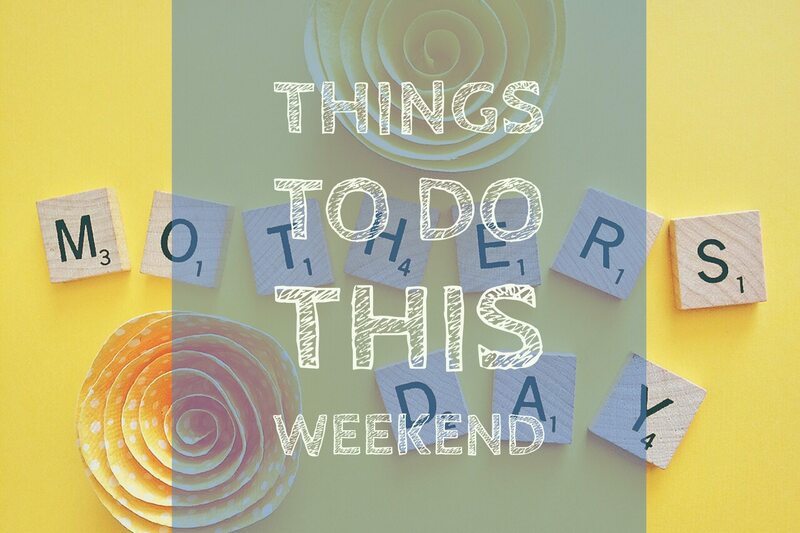 There are many reasons to be joyful and jubilant today and this edition of Things To Do This Weekend offers events and experiences that will truly have you celebrating the first weekend of the month. If you enjoy the opportunity to be proper and dignified, maybe even put on your ‘Sunday’s Best’, then there are benefits and gatherings to participate in. Do you prefer to spend a day out, involving yourself around athletic activities? You could even get a bit (ok, A LOT) dirty this weekend with some friends, all while taking part in a fun community race. Art exhibits, fantastic chorale singing, movies and individuals displaying their finest (and other worldly) talents, the Greater Charlotte area is bursting with wonderful early May things to take part in. Who doesn’t love a night out with the family? 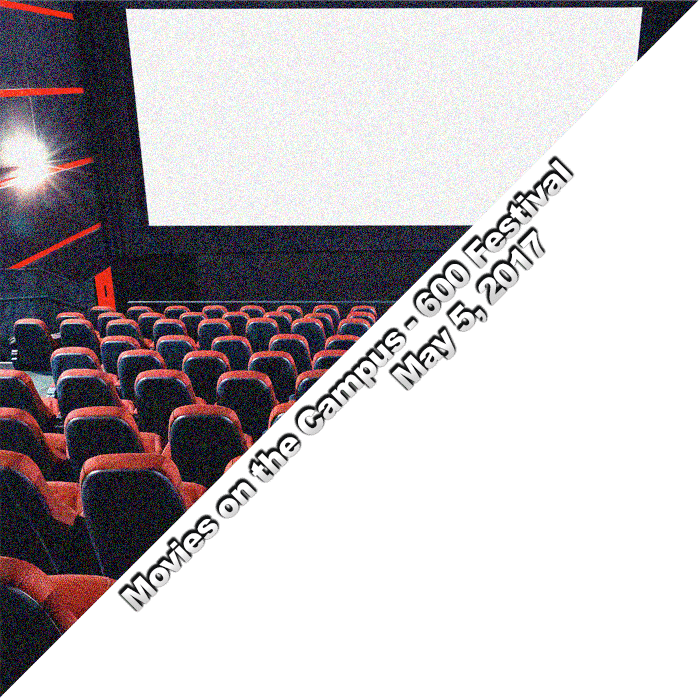 Pack your blanket, bring the lawn chairs and mobilize the kids for Movies on the Campus. The free event is a bit of American nostalgia as an outdoor movie graces the big screen on a warm May evening. This year’s movie is MONSTER TRUCKS! Not sure what to do on Cinco de Mayo this year? Let Little Wonders enchant your evening with delectable food, sip sensational wines, imbibe with unique cocktails – surrounded by the luxury of the Ritz-Carlton, Uptown. While there, experience unparalleled service as you browse a curated selection of silent and live auction items donated by gracious local businesses and artisans. 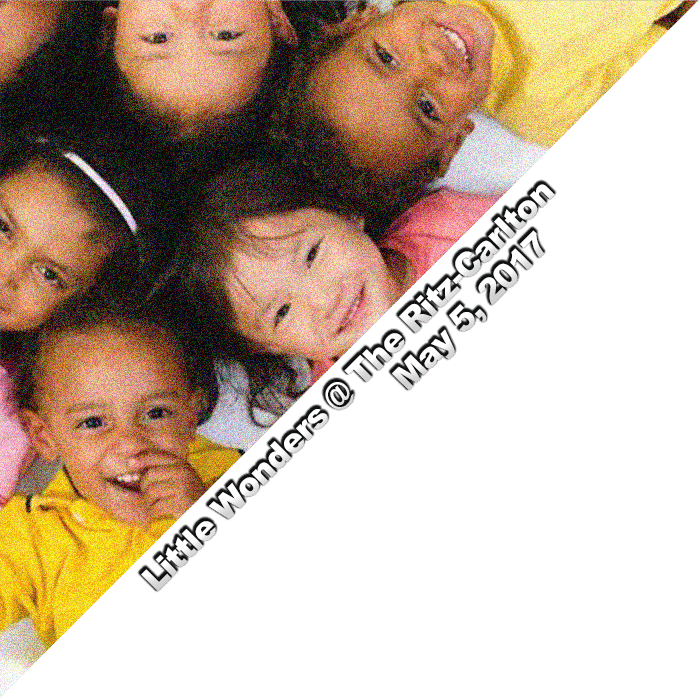 Best of all, proceeds from Little Wonders go to benefit Child Care Resources Inc. and its mission to help families find, afford and recognize quality child care and early learning opportunities. 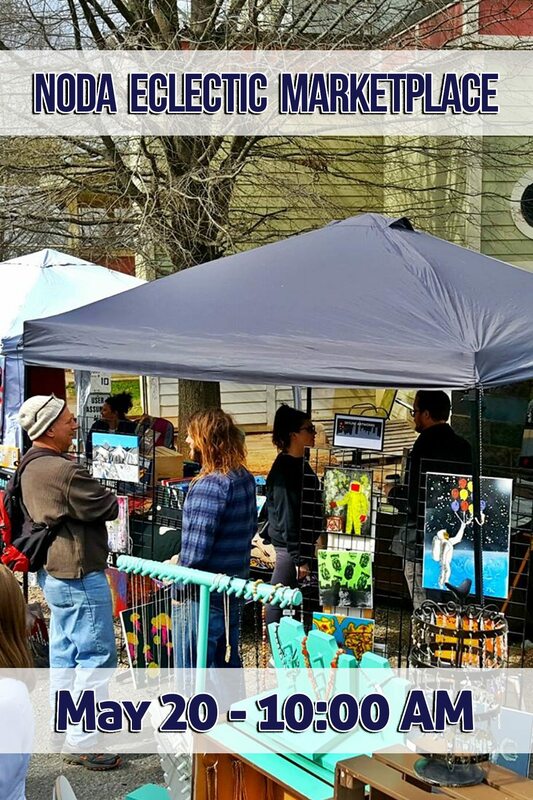 Join artists and fellow art lovers as Waxhaw Arts Council kicks-off its 4th Annual Open Studios Weekend with a show of visual art from more than 20 artists and silent art auction sale! 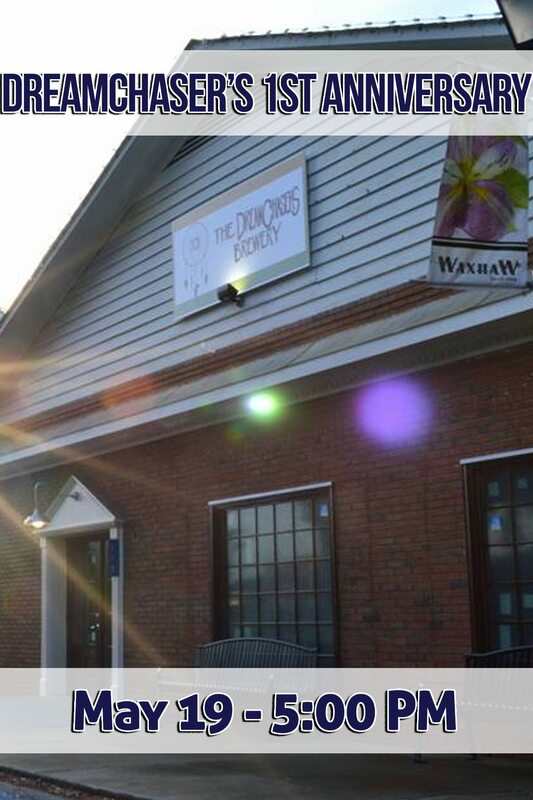 Enjoy some snacks and libations, and see the work and process of Waxhaw’s most dynamic and committed artists. 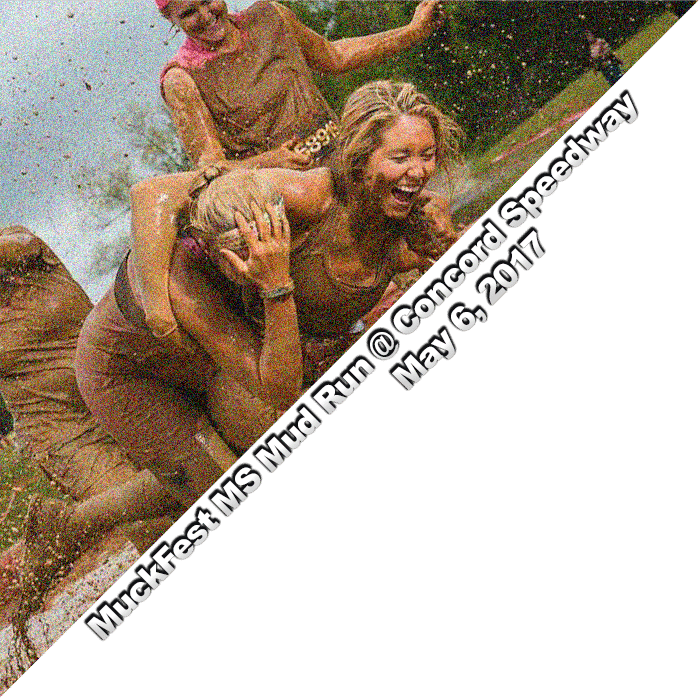 MuckFest MS is the mud run everyone can have the best time with the best obstacles. This obstacle course is built for some muddy family fun but also to support people living with multiple sclerosis.100% of the fundraised dollars will go to the National Multiple Sclerosis Society. An annual event that integrates interactive experiences to enhance cultural awareness amongst the Sugar Creek and Hidden Valley communities diverse populations, inclusive of culture-specific entertainment, food, and recreation. Goals – To provide a free public event that advances positive sociocultural outcomes in the Sugar Creek and Hidden Valley communities of Mecklenburg county North Carolina. 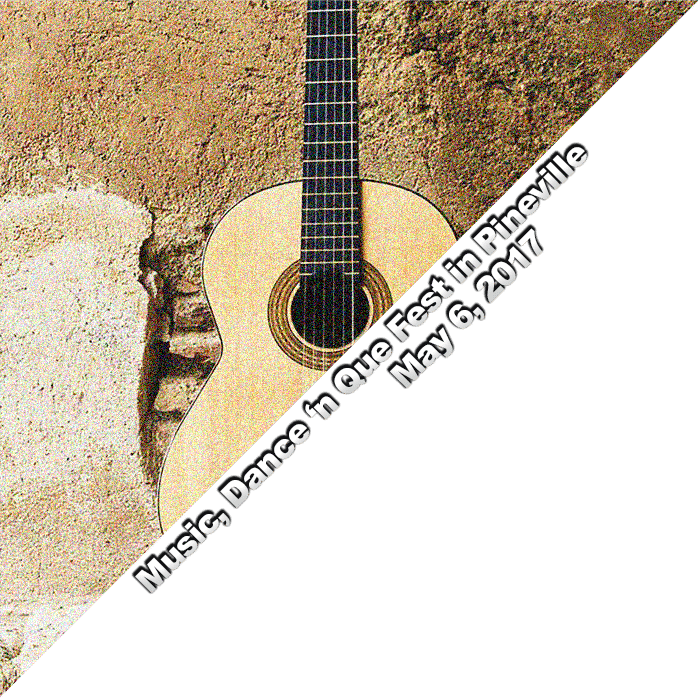 Kick off the Spring with our 2nd Annual Music, Dance ‘n Que Fest! Kick back as artists dance, sing and play their way through historic tunes, folk songs and bluegrass music. Bring a chair or a blanket to lounge on, or snag a bale of hay to sit on. The entertainment will come at no cost, but folks can enjoy a North Carolina barbeque meal for a small fee. 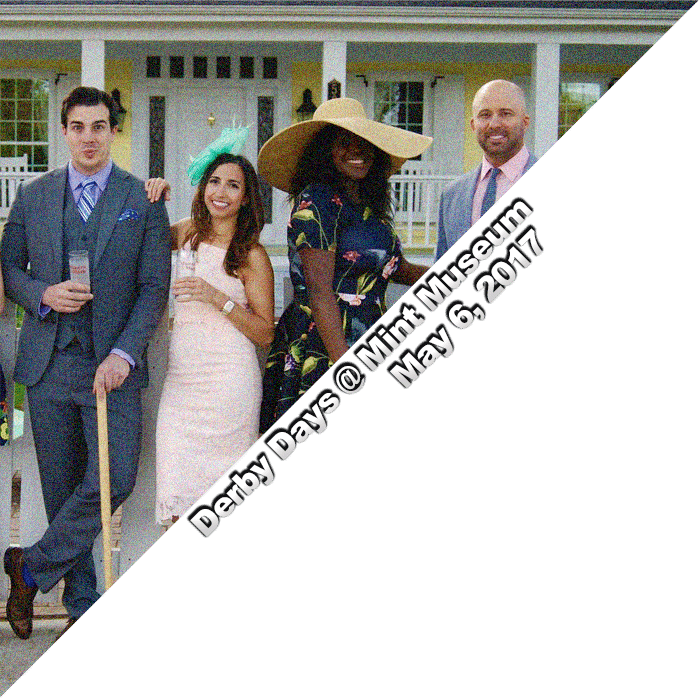 Named the “Best Party for Young Professionals” by the Charlotte Observer and “Best Young Professional Party” by Society Charlotte magazine, Derby Days brings together more than 400 of Charlotte’s young professionals to enjoy a day of live music; lawn games; Mint Juleps; free wine and beer; food trucks; 50/50 raffle; and a large-screen viewing of the Kentucky Derby, dubbed “The Most Exciting Two Minutes in Sports. 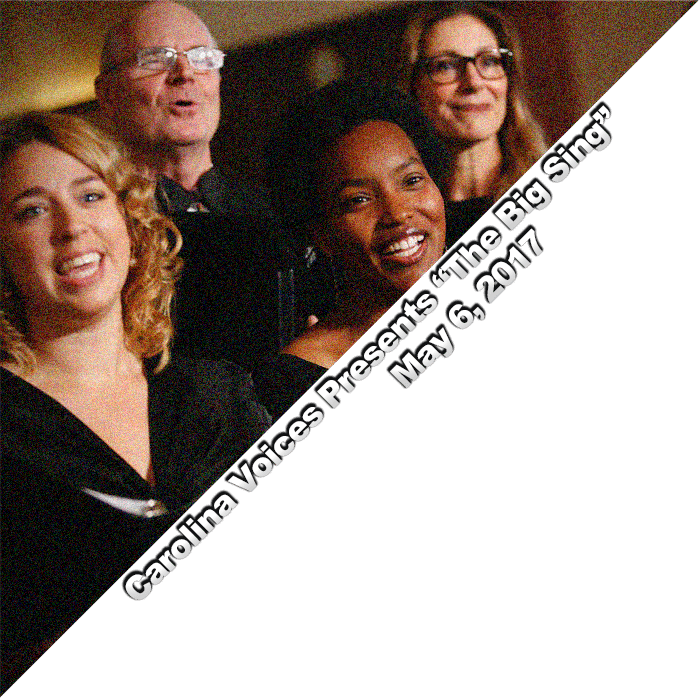 If you want to hear a variety of choral music at its best, you won’t want to miss The Big Sing! All three Carolina Voices ensembles -MainStage, Impromptu and Festival Singers- come together to present an exciting night of choral favorites — from the California sounds of the Beach Boys to the rich, extraordinary music of composer Eric Whitacre and the pop stylings of Michael Jackson and more. Don’t miss this fabulous night of entertainment with a red-hot band, fabulous dancers from Northwest School of the Arts and, of course, the soaring Carolina Voices! Come and get a Taste of Tennis. Did you just buy your tennis racquet? Have you played before in the past but need a refresher course? 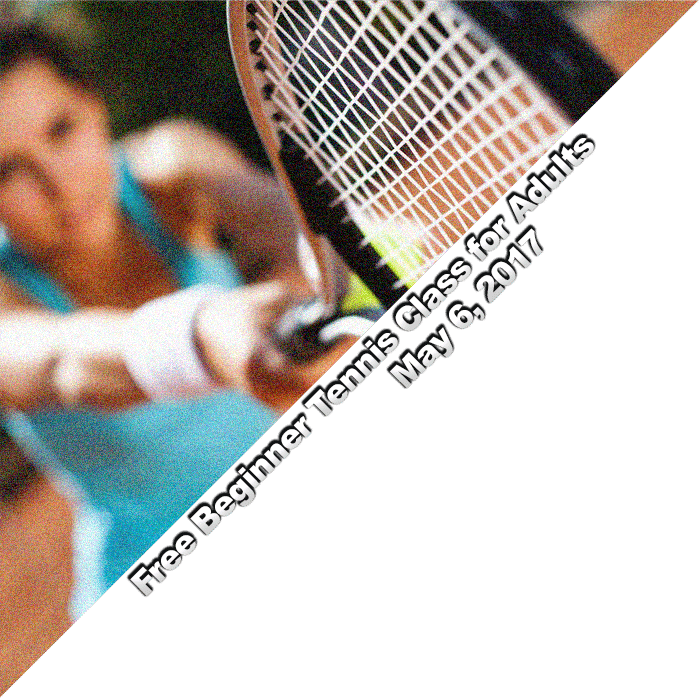 MatchMaker Tennis has the class for you. They specialize with new tennis players and players returning to the game to teach the very basics of the game, ie: forehands, backhands, volleys and serves. When you are finished with the series, you will be able to keep score and play a very basic game of tennis. The producers of the best selling magic show in the world have teamed up with award-winning puppeteers to create a TURN OF THE CENTURY CIRCUS SPECTACULAR! Cirque du Soleil made fame two decades ago when they removed the animals from the Circus, but with CIRCUS 1903, they are back and more beautiful than ever! 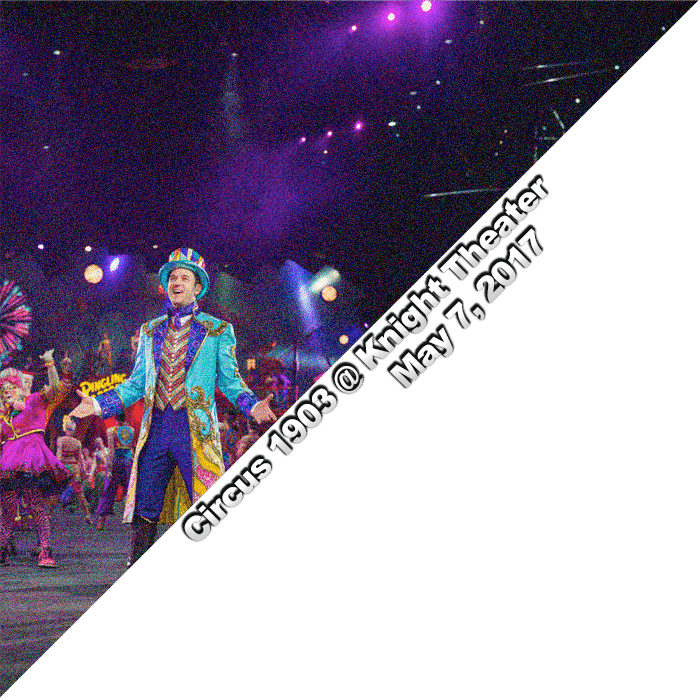 Featuring the most amazing, dangerous, and unique acts from all four corners of the globe, accompanied by the largest ever performing African elephant, CIRCUS 1903 transports the audience to the golden age of circus. This is a truly captivating circus extravaganza that is perfect for the entire family. 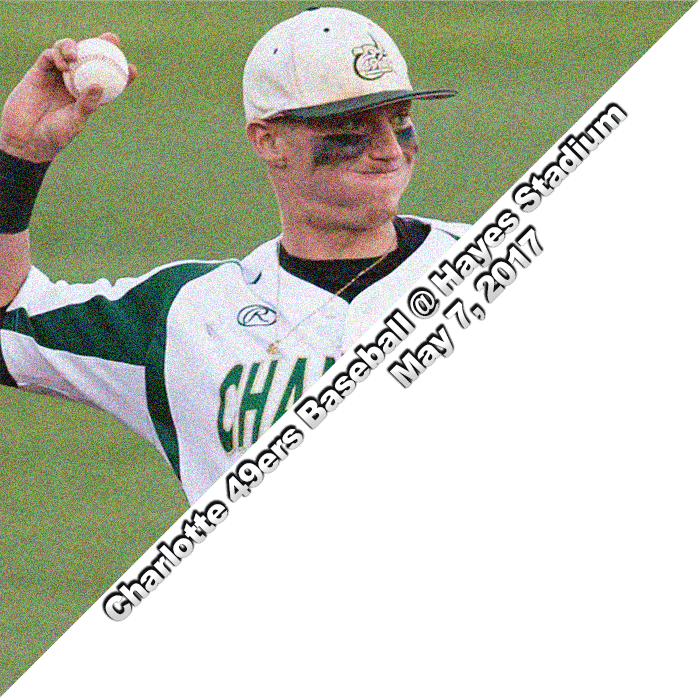 The Charlotte 49ers wrap up their Conference USA series against Rice University. This weekend and next weekend (May 12-14) are the final 2 home series of the 2017 season.